Takeaways from NPE 2015 by Rachel Gulko, Lead Recruiter, DRI Plastics - Direct Recruiters Inc.
After talking with many individuals at different booths such as Davis Standard and Milacron at the show, it seemed the overall tone was very positive and the plastics business is very strong right now. With a record-breaking number of around 65,000 attendees, business seemed to be thriving and the evidence of an increasingly high hiring rate was found in the number of new searches our firm received. The buzz around the industry is that there is a need, especially in the machinery sector, to hire younger workers and begin developing future leaders within plastics. Organizations such as SPI (Society of the Plastics Industry) and SPE (Society of Plastics Engineers), were sponsors and encouraged internships and mentorships in order to build a strong new generation of plastics professionals. Additionally, another apparent increasing trend was the desire of companies to recruit sales talent with a technical background. Quite a few hiring managers expressed interest in individuals with a chemical engineering degree or sales engineer background to fill a territory where they required a new regional sales manager. COMPANIES ARE HIRING! There are a lot of open positions. How do I know? Well, because I asked. So what does this mean? It means we are very much in a candidate driven market and companies have to provide more compelling reasons why they are the best to work for. Remember in times of growth like these, candidates will be interviewing you as much as you are interviewing them. There is great potential for young professionals in this industry. They are a hot commodity. Nearly every hiring manager I talked to discussed the challenges they are facing as they focus on the future of their company. It was very encouraging to see SPI create a group like FLIP (Future Leaders in Plastics), providing a great environment and atmosphere that welcomed the up and comers. Strides in plastics industry since NPE 2012, are impressive. Just imagine the innovation that we’ll see over the next few years. Having the ability to see the technology in the plastics industry up close and personal is priceless. It is one thing to have a Sumitomo Demag injection molding machine or a Macchi blow molding machine described over the phone by someone that works at the company but to see them in action in a whole other experience. My perception of the plastics machinery is that of one big family. Even though everyone is technically competing, at the same time a lot of the companies rely on pieces and parts and sometimes whole systems from each other complete their product(s). That was so evident when entering the South hall where all the materials companies were. That’s we found all of the machines. Davis Standard, Wittman Battenfeld, and Arburg were just a few of the many used by all these material companies. 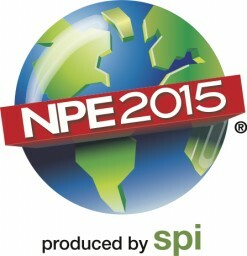 Fortunately, everyone gets the opportunity to once again experience all the innovation and excitement of the plastics industry at NPE 2018, hosted again in Orlando! We are looking forward to future positive hiring trends within plastics machinery and materials and what new technology is in store. It’s a great time for this industry and Direct Recruiters, Inc. Plastics Team who feel privileged and energized to be a part of it all.